Here are the first three finished blocks. I have noticed that I am needed to add bits to either the top and bottom to make them into 10" square blocks, as no matter what I do they're not coming out like that - I'm sure there is a reason, but I can't find it as of yet. I recon it will be one of those that will become apparent on the last block. So three made and three more British animals to go and then six Australian animals to make. 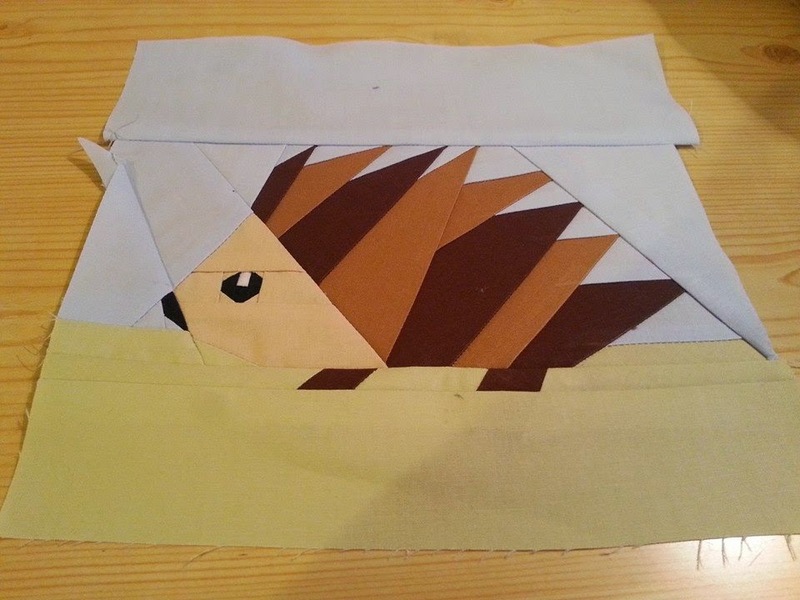 First up is Mr Hedgehog - he has had some added bits on the sides. I had to re-do a big part of this one as it wasn't right - this is definitely a learning curve and patience is going to have to be employed - that is a definite! 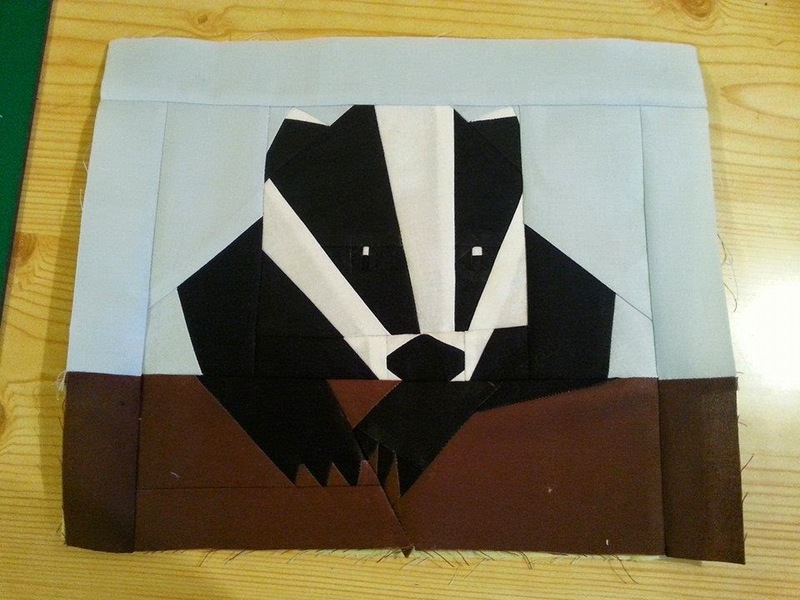 Then here is Mr Badger - who also had some added bits. 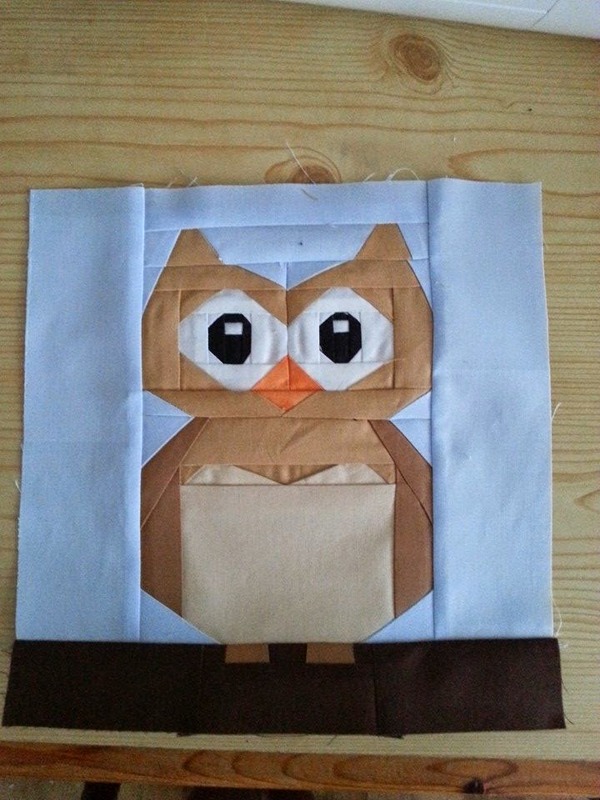 Then Mr Owl, who is made up of 71 pieces! He will need some more sides added and I'm going to have to unpick the top part as the ears don't line up, I thought I could live with it, but I'm not going to be able to. These are adorable! This is going to be the cutest quilt :) Hope your machine issues are resolving. What happened to your cousin's mum's one?